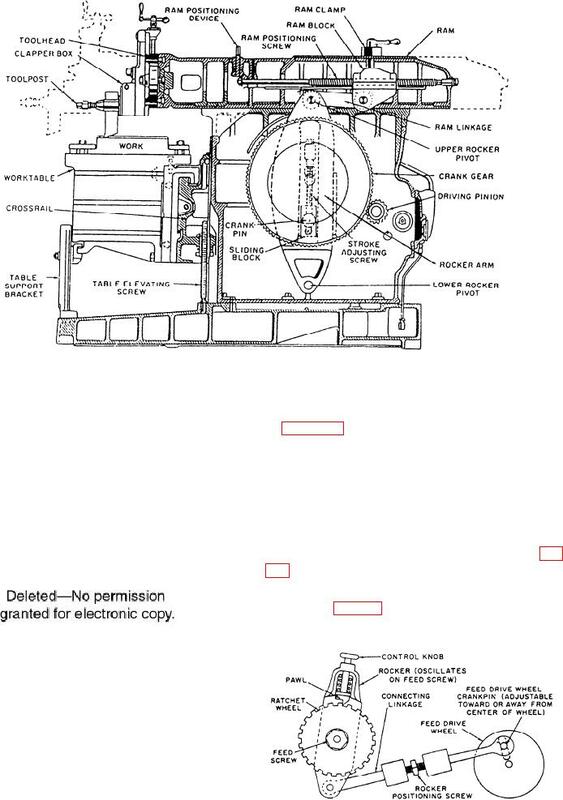 Figure 9-4.--Mechanical table feed mechanism. Figure 9-5.--Toolhead assembly in various positions. Figure 9-2.--Cross-sectional view of a crank-type shaper. may be tilted fore or aft at small angles to the ram. adjusted vertically by the table elevating screw (fig. Figure 9-3.--Swiveled and tilted table.